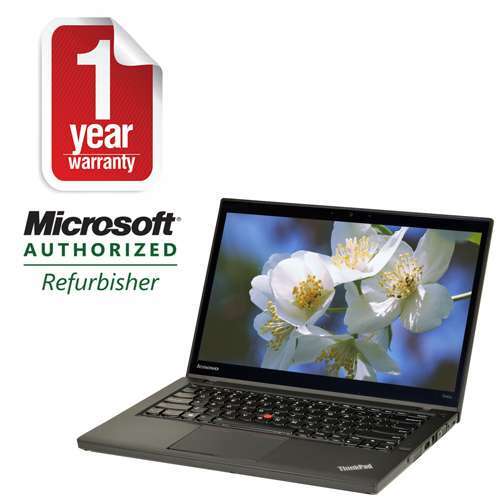 Never settle for less and attain what you need and deserve in the form of the Lenovo ThinkPad T440S Ultrabook. 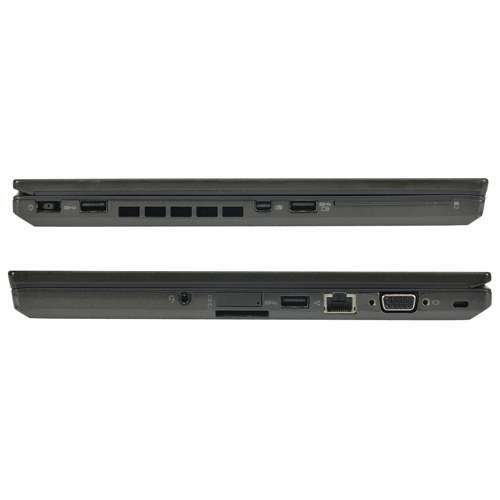 The ThinkPad T440S Ultrabook from Lenovo has all the characteristics you want for a professional who aims to achieve nothing but the best. Powered by the Intel Core i5-4300U Dual-Core CPU with a speed of 1.9GHz, it lets you manage your daily workloads and activities with ease and comfort, therefore making every day work less stressful for you. 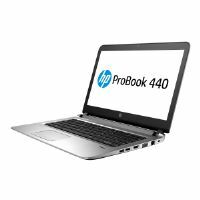 It supplies the adequate power your system needs to be able to respond to the demands being thrown to it. 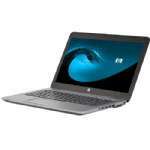 Other than this, it comes with 8GB of DDR3L memory which enables for a seamless management of multiple tasks all at once. 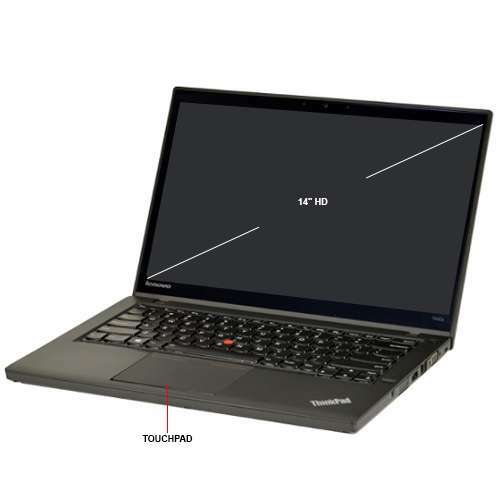 Alongside a competent system, the Lenovo ThinkPad T440S also features a screen display of 14 Touchscreen and an FHD resolution (1920 x 1080) which brings all of your contents into sight without cutting off or distorting anything. It showcases all of your visuals with full clarity, precision, colors, and details to achieve a gratifying viewing experience. 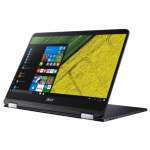 In addition to this, it comes equipped with 240GB of SSD storage which does not only make room for your valuable data and files but also provides faster system boot-ups. 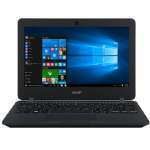 It also runs on Windows 10 Professional 64-bit operating system which offers a user-friendly interface and the core features you need. 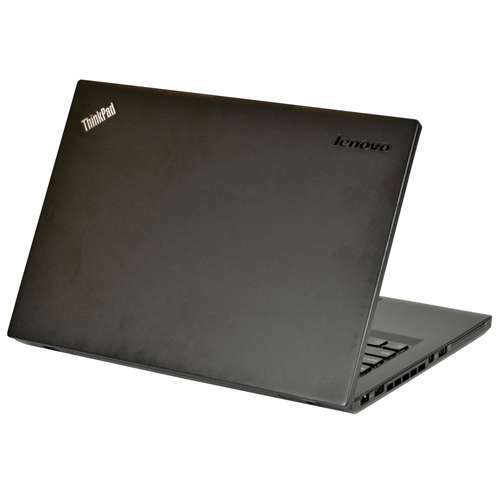 Purchase the 14 Lenovo ThinkPad T440S Ultrabook today only here at TigerDirect! 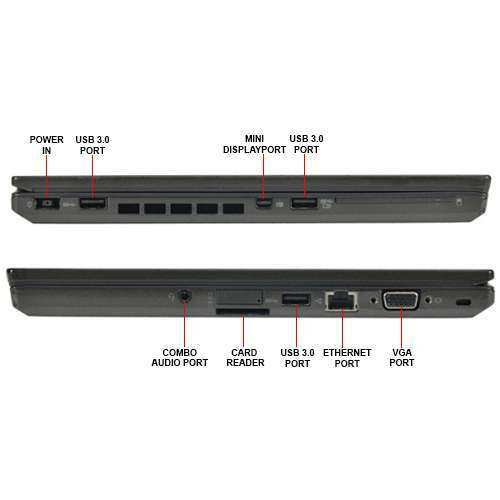 The most popular PC in our legendary ThinkPad product line, the ThinkPad T44S is durable, secure, portable, and packed with features to enhance productivity. 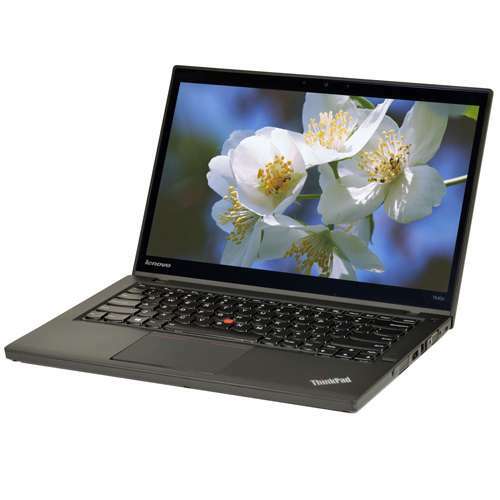 From its ultra-long battery life to its advanced wireless technology, the T44S helps you take your business to the next level. Whether you're travelling around the world or commuting between offices, at just 4.77 lbs, the T44S won't weigh you down. The T44S meets eight rugged military-spec tests against extreme environmental variables, including temperature, pressure, dust, humidity, and vibration testing. Premium durability standards and the Active Protection System™ provide a rock-solid machine. Whether you choose integrated Intel® HD Graphics or discrete graphics featuring NVIDIA® Optimus™ technology, you'll enjoy stunning visuals on the T44S. Move data between the T44S and other devices quickly with USB 3.0 — it's up to 10 times faster than previous USB technologies. HD and HD+ display options deliver bright, crisp visuals on the T44S — even when looked at from a wide angle. 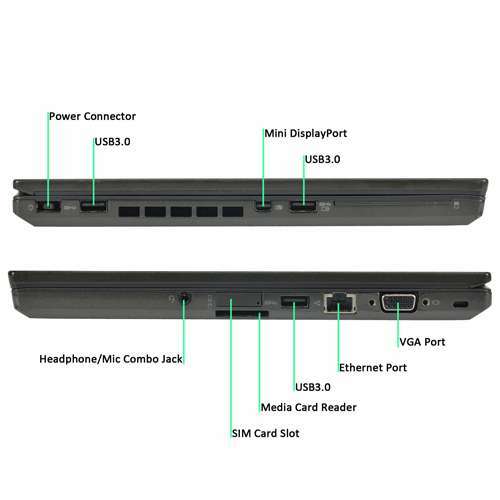 With easy to use, practical, and secure software solutions including Password Manager, Rescue and Recovery, and Access Connections™, Lenovo has got you covered. Just installed 10 of these units replacing earlier model MSIs and Lenovos. Specs have all that I recommend to clients. Size is particularly nice. 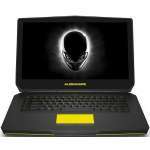 Not listed in specs is that is also has mini display port, SD Card Slot and VGA port.